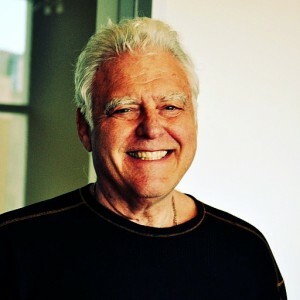 Psychologist and teacher Dr. Howard Teich founder of PACE Profile applies his extensive background in psychology and his pioneering work in conscious empathy to create more effective outcomes in individual evolution, relationships with others and organizations. Combining his expertise in the fields of archetypal psychology, mythology and neurology, Dr. Teich’s notoriety as a scholar and lecturer is based on his theory of the tripartite integration of mythology, archetypal psychology (including dreams), and neurobiology and their effects on human consciousness. With this theory of integration, Dr. Teich has created a body of work that supports rapid understanding and changing human behavior. Dr. Teich’s formative work began while he was teaching a course at the University of California at Berkeley titled Dreams: the Language of the Unconsciousness. His deep appreciation of and curiosity about the role dreams has had on shaping human outcomes has driven him to begin years of Jungian analysis with world-renown experts Joseph Henderson, John Beebe, and Joan Chodorow. Dr. Teich’s interest in the deep cultural ties mythology has within the unconscious realm led him to focus on the work of Joseph Campbell, the master of mythology studies now famous for his contributions to the Star Wars movies and his series of interviews with Bill Moyer. After Campbell’s death he has had the honor of contributing to Use of Comparative Mythology: Essays on the Work of Joseph Campbell (Garland Publishing, 1992). Dr. Teich’s seminal work defining solar and lunar psychology is described at length in John Beebe’s 1992 book Integrity in Depth (Texas A&M University Press, 1992). Dr. Teich’s writings have appeared in publications such as Chrysalis, Parabola, San Francisco Jung Institute Journal, and Noetic Science Review; and been included in several anthologies, including Christine Dowings Mirror of the Soul. His latest works, Solar Light Lunar Light: Perspectives on Human Consciousness, is now available through Apple Books as well as Amazon.com. Dr. Teich was a consultant on Transforming Terror: Remembering the Soul of the World which was published in 2011 by University of California Press; and author of article Our Culture’s Divided Soul. To measure the solar and lunar perspective of human behavior and how it can facilitate high performance Dr. Teich has developed the PACE PROFILE®. What makes the PACE Profile unique is that it highlights not only preferences and behavior but the underlying motivations that lead to behavior based on our engagement with ourselves, those around us, and our environment. And unlike other assessment tools the PACE does not divide people into types or assume that they have fixed temperaments from birth. A key element of the PACE is its focus on where an individual is now and how they can grow and develop if they choose. A frequent lecturer in Mexico, Canada, and the U.S., Dr. Teich has addressed groups such as C. G. Jung Institute and the International Conference on Shamanism on such topics as High Performance Leadership, Six Steps to Creative Collaboration, Quantum and Reflective Consciousness, Twin Leadership, Eros and Psyche, Gender Relationship and Consciousness. In addition to teaching at the University of California, the California Institute of Integral Studies, Sonoma State University, the University of San Francisco, and the Esalen Institute, Dr. Teich has coached executives at some of the world’s most respected corporate giants, including Microsoft, Intel, and Wells Fargo, as well as at emerging companies funded by venture capital firms.